I will create 30 web2.0 sites and will submit content to those web2.0 pages with PR2-9 somes sites are like hubpages,tumblr,livejournal and many. All Submissions will be manual. ** If you find any error in my report after submitting you the report then I will fix the error. 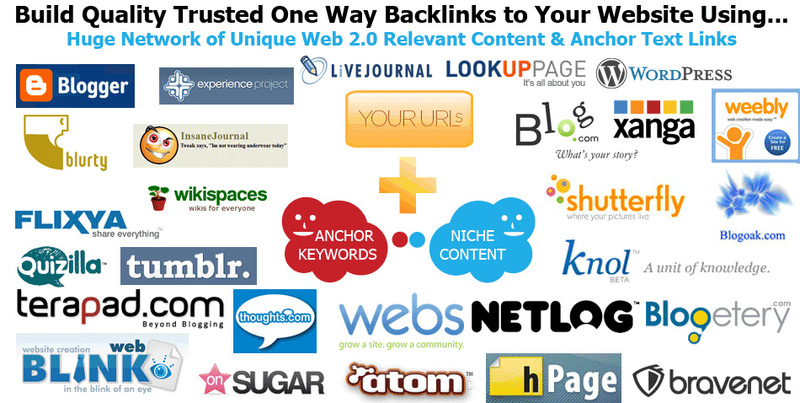 Get Dofollow Oneway Backlink From 30 PR2+ Web2.0 Pages is ranked 5 out of 5. Based on 2 user reviews.